Hartsville has a very rich history, much of which involves the Coker family. Since the founding of Coker College in 1908, Hartsville has been fortunate enough to be considered a “college town.” Coker provides a vibrant energy to our City that many other small towns are not lucky enough to have. When Coker students are in Hartsville, we can certainly feel and see their presence. Students of the college bring growth to Hartsville both economically and culturally and we as a City are so thankful for their presence right in the heart of Hartsville. Riding around campus each day, you can find Coker students happily walking to class, chatting with friends, and even venturing downtown to shop and eat in our amazing local businesses. During Coker Homecoming Week, you can see alumni coming from near and far to visit their beloved alma mater and rekindle their love of the college and of our town. Our City, its businesses and residents thrive because of the impact of Coker College and its’ alumni base that believe in Hartsville. This City and Coker have both experienced tremendous growth through the years. Many people have devoted much time and effort in seeing this growth happen for the betterment of Hartsville residents. This week, Coker College officially announced that they will be changing their name to Coker University. It is important to remember that change is an inevitable part of a growing society. Many of you wonder why they have decided to do this and what it means for Coker and for Hartsville. After doing some research on this myself, I am encouraged for the future of Coker University following this name change. This change will bring many more avenues of growth for Coker through recruitment for their graduate and undergraduate programs among many other reasons. More growth and opportunities for Coker means more growth and opportunities for Hartsville and THAT is something we can all get on board with. Don’t worry Hartsville, you can rest assured that we will still be a college town that is home to a Fortune 500 Company, a learning institute for academically motivated students, many local and innovative businesses, amazing and supportive residents, and now Coker University! Congratulations Coker, that University name surely looks good on you! 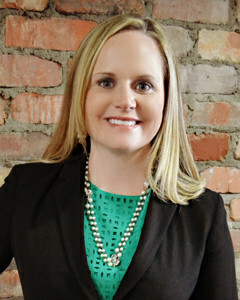 Natalie Zeigler is the City Manager of Hartsville. For more information, call City Hall at 843.383.3015 or email info@hartsvillesc.gov.